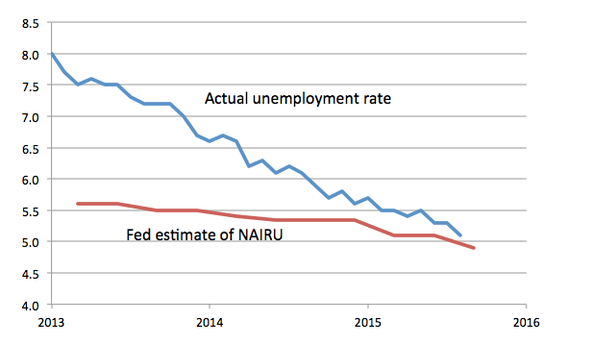 What’s driving this ever-falling estimate of the NAIRU? The failure of inflation to materialize. 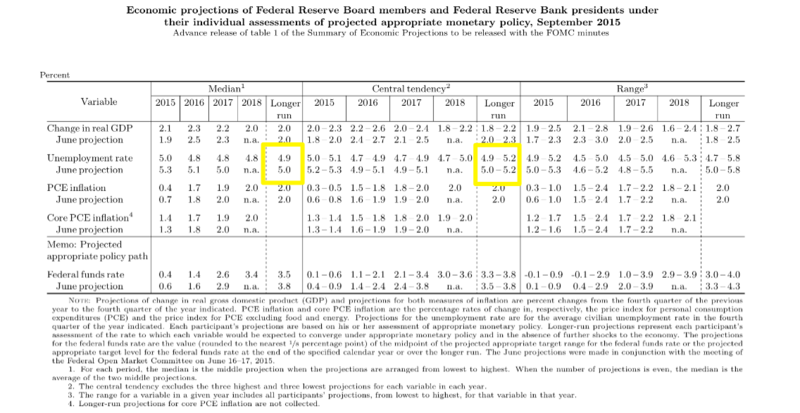 And look, it’s better to see the FOMC update in the light of evidence than not. But the truth is that we really don’t know how low unemployment can go, which means that the unemployment rate is not a good reason to tighten. Wait until you see the whites of inflation’s eyes!